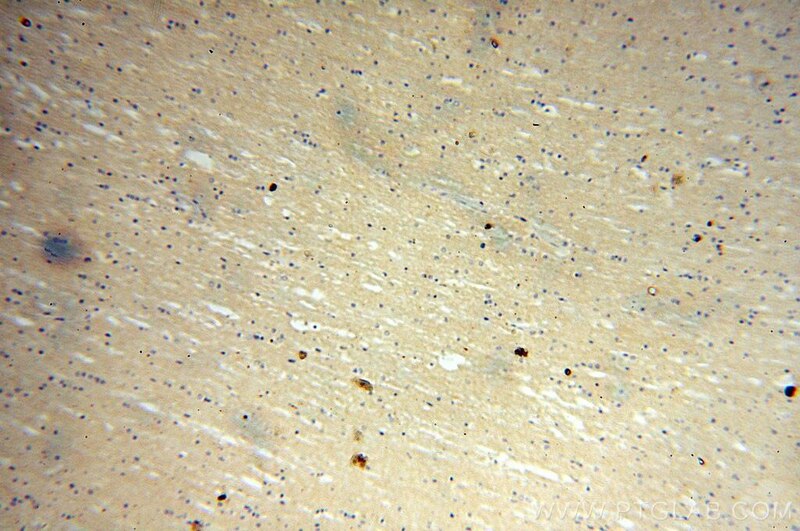 IP Result of anti-VEZT (IP:17684-1-AP, 4ug; Detection:17684-1-AP 1:500) with mouse brain tissue lysate 4400ug. 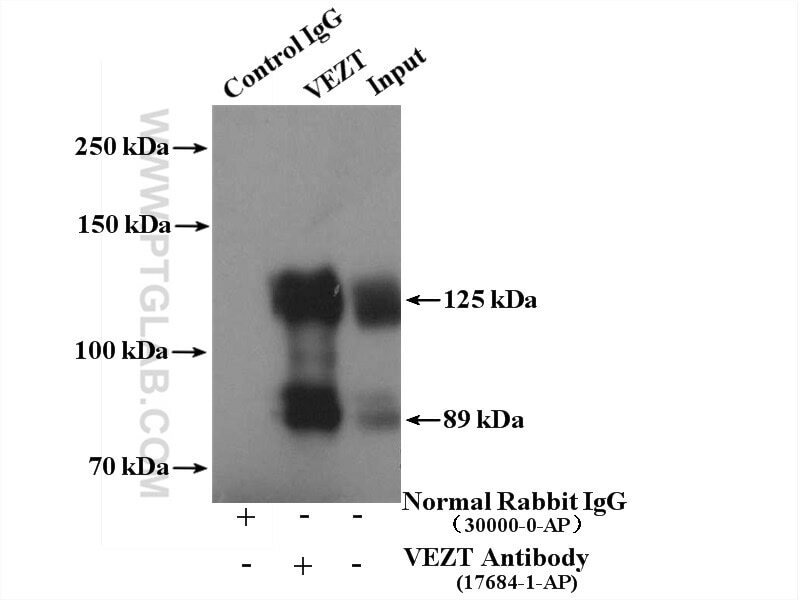 Vezatin (VEZT) is an adherens junctions transmembrane protein which identified as a putative tumor suppressor. 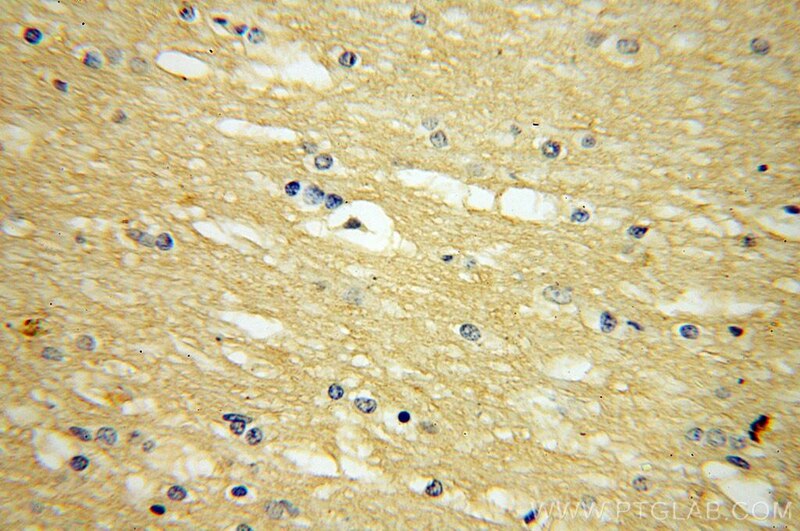 In case of Listeria infection, it promotes bacterial internalization by participating in myosin VIIa recruitment to the entry site.